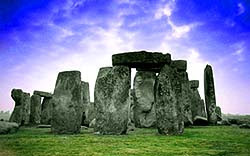 Stonehenge may have been used as a site where knowledge was communicated ritually, according to a new theory. Lynne Kelly, La Trobe University doctoral researcher and science writer, has been working on technologies oral cultures used to present and pass on scientific knowledge. Kelly demonstrated the constant changes in the archaeology at Stonehenge are consistent with the mnemonic (conveying through chants and rituals) needs of the knowledge elite as they settle, while delivering the inaugural Marshall McLuhan Lecture in Chicago. 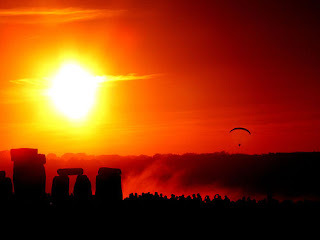 'Instead of moving between sacred places to perform the cycle of ceremonies which encode all formal knowledge of their culture, Neolithic Britons replicated that landscape in the monuments they built over 1,500 years in transition from a mobile hunter-gathering to settled agriculture,' says Kelly. The Neolithic Britons who built Stonehenge, like other cultures starting to settle, lacked a written language with which to preserve their knowledge. Kelly says the most reliable recording system they had were mnemonic methods, whereby knowledge ranging from animal behaviour to astronomy could be communicated. 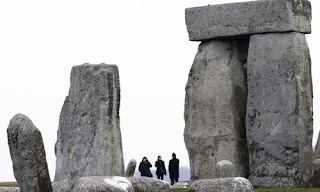 To facilitate this, she argues that Stonehenge itself acted as a knowledge centre, a function that it had in common with many other sites around the world, says a university release. Kelly's research draws parallels with oral cultures such as Native American, African and Aboriginal Australian, and finds clues in the physical remains of Stonehenge. 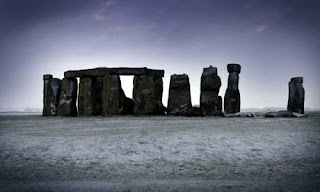 "Earlier investigations have made huge inroads into our understanding of what is one of the world’s most important prehistoric monuments but many questions remain unanswered"
“The next stage will focus on how the people who built Stonehenge lived, what they ate, when the monument was visited and where the visitors came from." 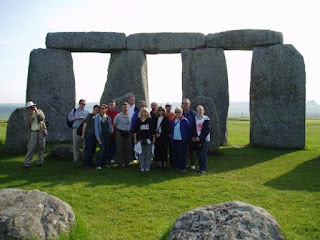 I am a professional tour guide who can provide 'private' guided sightseeing tours of Stonehenge for small groups. However, private bespoke tours can be tailored to suit your requirements and can offer the ultimate flexibility throughout your day (s) visiting almost any location you wish to visit. I promise a well balanced day with continuous information about not only the places we visit but England in general. My style of touring guarantees an informative, entertaining day, certainly never boring. I frequently see so called 'professional' guides giving an uninspired hasty tour of tourist attractions and then demand huge tips for their 'sloppy' services at the end of the day. MY MISSION STATEMENT: In the unlikely event of you not being entirely satisfied with my services I will NOT charge you! 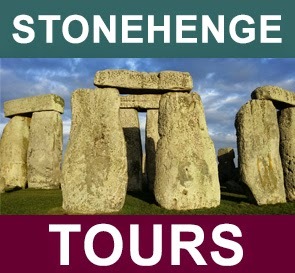 I truly appreciate that many of you will only visit Stonehenge or England once and deserve a great experience. I can supply 100's of testimonials from satisfied customers (individuals/ families/groups) and have a 1st class reputation with many of the UK tour operators. (my heads getting bigger and bigger the more I write) Seriously folks, give me the opportunity to quote for your private group tour (1 - 16 passangers) and I wont disappoint. Lyn Hughes, editor in chief of Wanderlust, said the A303 and A344 junctions near Stonehenge meant the site was "brutally divorced from its context". She said: "Seeing it without its surrounding landscape is to experience only a fraction of this historical wonder. The fact that the government and various planning bodies cannot agree on implementing a radical solution to this problem is a national disgrace." The first great earth banks and ditches of the monument date back 5,000 years, and it was then repeatedly remodelled, with the addition of the circle of sarsen stones the size of doubledecker buses, and smaller bluestones brought from west Wales, and said to have healing powers. Hughes was echoing the words 21 years ago of the parliamentary public accounts committee, which in 1989 damned the presentation of the site and the facilities for tourists as "a national disgrace". Since then millions have been spent on alternative road plans and architectural designs for the visitor centre, on exhibitions, consultations and public inquiries, without a sod of earth being turned. 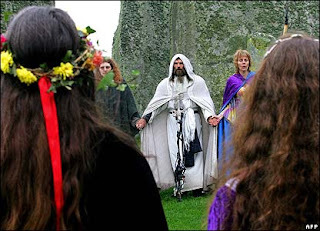 Argument about how to care for the site raged throughout the 20th century: the circle itself is in the guardianship of English Heritage, while the National Trust owns thousands of acres of surrounding countryside, studded with hundreds more henges, barrows and other prehistoric monuments. 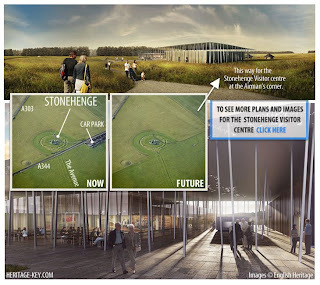 At the moment the best hope is that a much simpler and cheaper visitor centre can still be created, two kilometres from the site, in time for London's hosting of the 2012 Olympics. 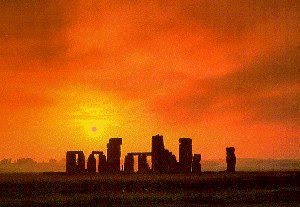 At the time of the Winter Solstice experts believe people would have brought livestock with them to Stonehenge for a solstice feast. Initial research suggests the animals were brought considerable distances to the ceremonial site at this time of year. "One of the unforeseen outcomes (of the Stonehenge Riverside Project) is the vast quantity of new material - flint tools, animal bones, pottery, plant remains, survey data, and chemical samples - which now needs analysing," explained Professor Parker Pearson. "We are going to know so much about the lives of the people who built Stonehenge - how they lived, what they ate, where they came from." A large collection of cattle jaws collected during the last few years' excavations will now undergo strontium and sulphur isotope analysis to establish where they originally came from and when they were culled. This will give experts a better idea of where people had travelled from to visit the site. The research will also offer a better understanding of the dressing of the famous sarsen stones of Stonehenge and insights into how the public and private spaces at Durrington Walls and Stonehenge differ from each other. Researchers will also try and ascertain whether Britain's Copper Age started 50 years earlier than first thought. Circumstantial evidence points to copper tools being in use at Durrington Walls earlier than originally thought. Cut-marks on animal bones should reveal whether they were made by copper daggers as opposed to flint tools. I have been contacted by some of the London Tour operators who have just published their dates for March - September this year. These companies have been operating tours for over a decade and I have recieved excellent feedback about their tours and customer service. 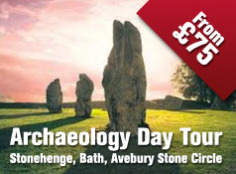 It is important to book these tours early as they are extremely popular! There will be some more dates published soon with different itineraries - watch this space.............. I hope this has helped - good luck !